Today's teens are faced with some big issues, and their attitudes can sometimes create even more struggles for their own lives and those around them. But best-selling author Max Lucado wants to teach teens that life is a gift and that gratitude is critical. With a little perspective, teens will see that God can help them overcome their ungrateful days, their stressed-out days, and even their catastrophic days. Life is not going to be perfect. When teens understand that and realize that God is their constant source of support, help, and blessings, even the difficult days can be faced with a cheerful spirit. Make Every Day Count shows readers how to deal with each day--no matter what it throws at them. 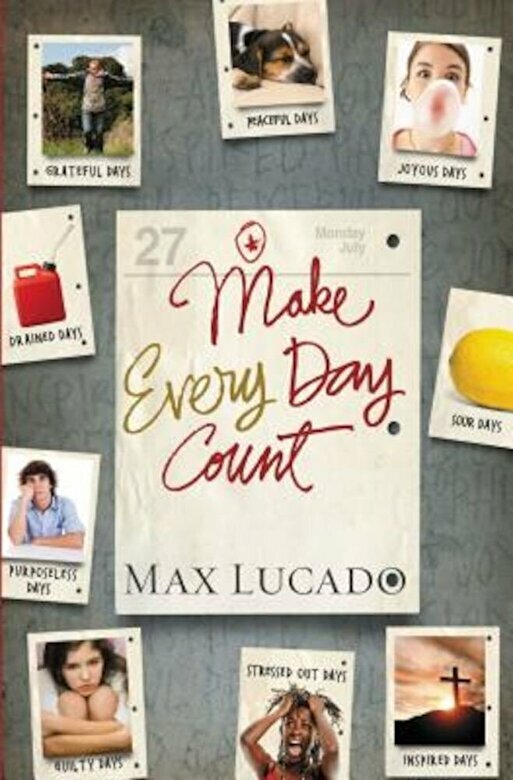 Real-life teen stories, biblical accounts, and inspiring "Daylifters" encourage teens to make each day count for God. A study guide at the back of the book makes this a perfect choice for individual or group study.